The moment you feared has finally arrived. 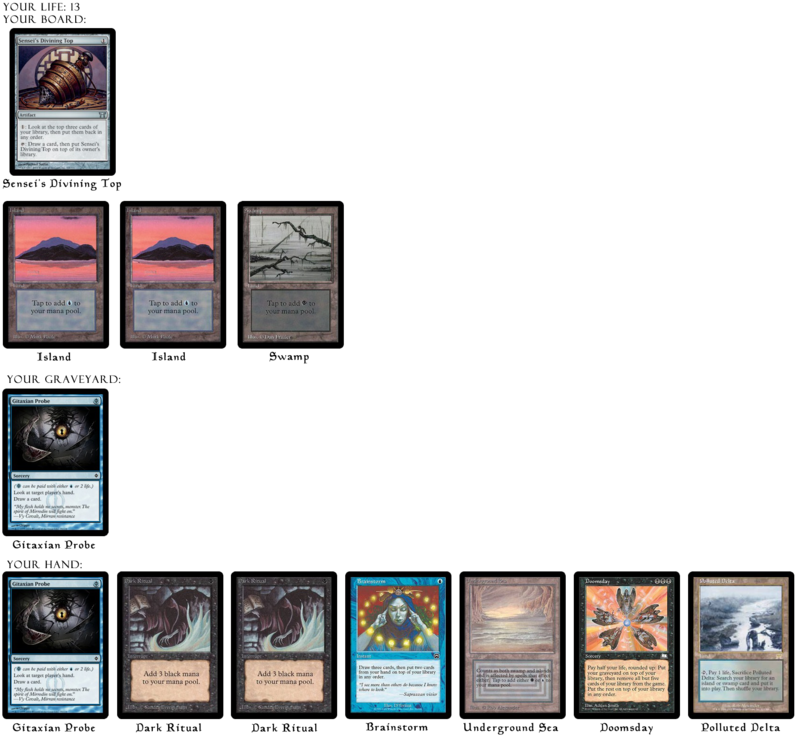 After stomping two Show and Tell decks, overcoming a UW Control deck with dominating countermagic, and narrowly defeating a RUG Delver deck, you are faced with your most difficult matchup yet: Shardless BUG. 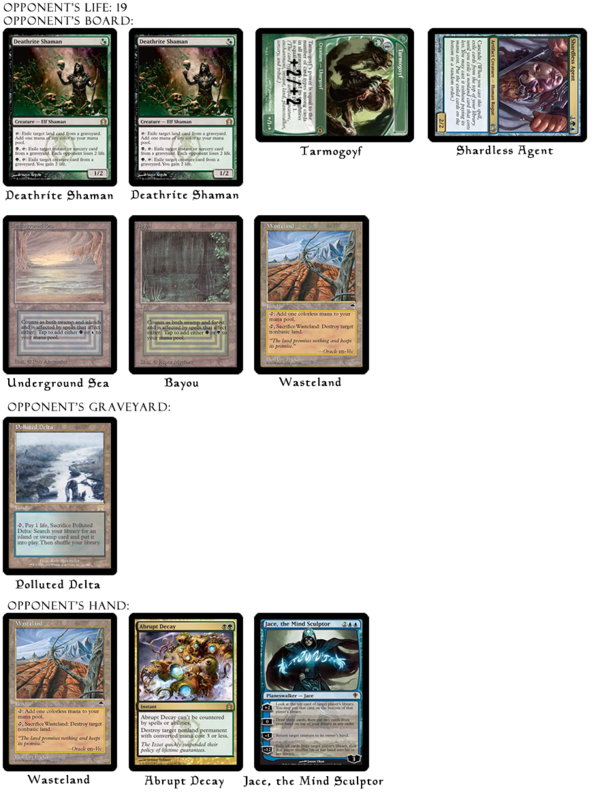 It’s the fifth round of a seven round Legacy tournament, and a trip to the Top 8 is on the line. Win here, and you can draw into the elimination rounds, where guaranteed prizes await. Lose here, and you might fall out of contention completely. Your opponent, Jimmy the Cat Warrior, is a well known area player, and a skilled opponent. Escaping with a win here will require precision and exact planning. Fortunately, you are focused and determined. It is your turn 4, and you are at 13 life, and have drawn your card for the turn. You know your opponent’s hand because you Gitaxian Probed them last turn. It is now the beginning of your first main phase. What do you do? The solution for this puzzle can be found here. For more mind-bending Doomsday Puzzles, be sure to check out So Many Insane Plays – Doomsday: The Puzzling – Five Puzzles to Blow Your Mind! There are 5 levels of increasing difficulty, and this puzzle above builds on those examples and lessons. Have fun!